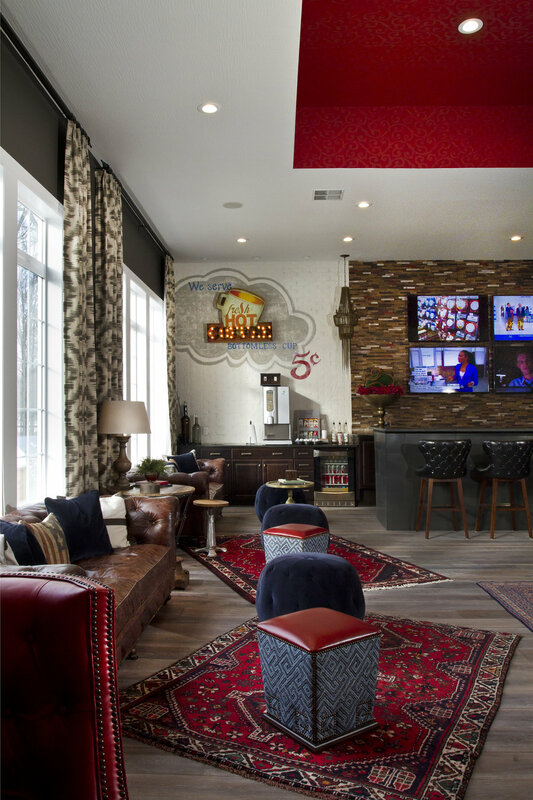 Classic elements representing world travels combine with the comforts of home with industrial style in HS clubhouse to encourage mingling and relaxing away from the daily grind. Splashes of the red, white and blue add flare to the fire and water features. Welcome to your luxe neighborhood pub, and by the way, you can live here. Cheers! Industrial chic was our inspiration on this project. CDG mixed pure and natural with edgy and modern creating a space that evokes community. Communities grow when people gather, share, work, and play together. Creating environments where that happens is Crimson’s mission– spaces that reflect and inspire people.